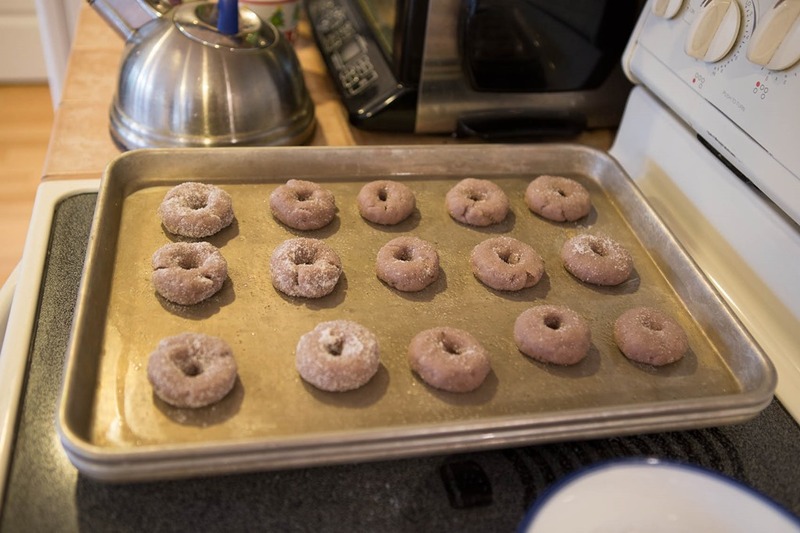 Usually, I bake the Ciambelline di Natale at the same time I make the Tozzetti, because, as the Italian name aptly implies, they are meant to be eaten for Christmas. This time, I made the ciambelline for the Befana’s day. Still a holiday in Italy. As everything I do, I slightly altered the original recipe from Civitavecchia my mother in law gave me. Soak the anise seeds in the red wine for at least half an hour. 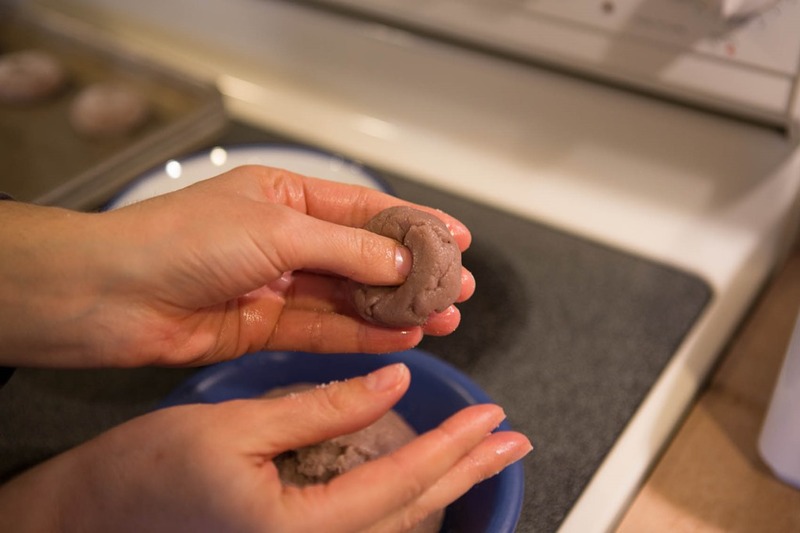 Then, mix together all the ingredients and work the dough until you obtain a smooth ball. Meanwhile, reheat the oven to 350 F. Grease a cookie sheet with extra virgin olive oil. 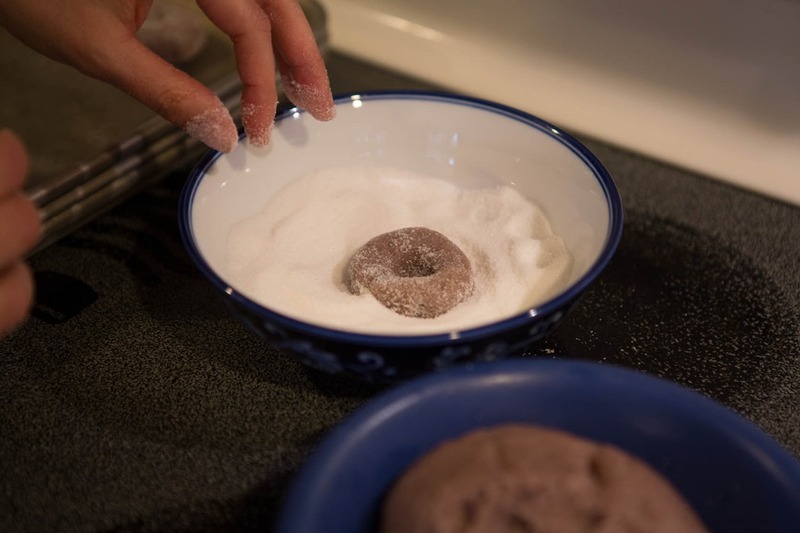 Prepare a bowl with enough white sugar to cover the bottom of it. 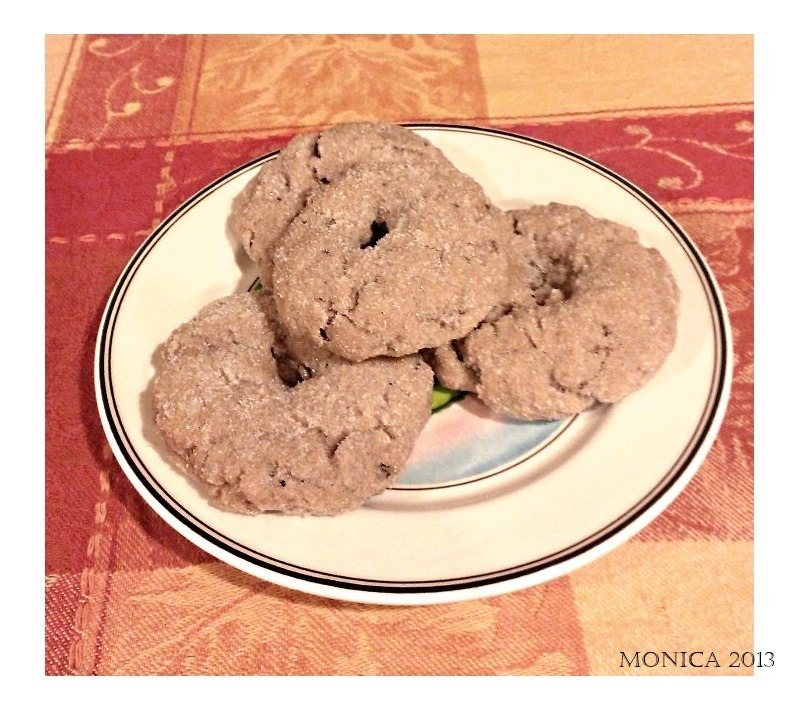 Take small chunks of the dough and make the donut shaped cookies. 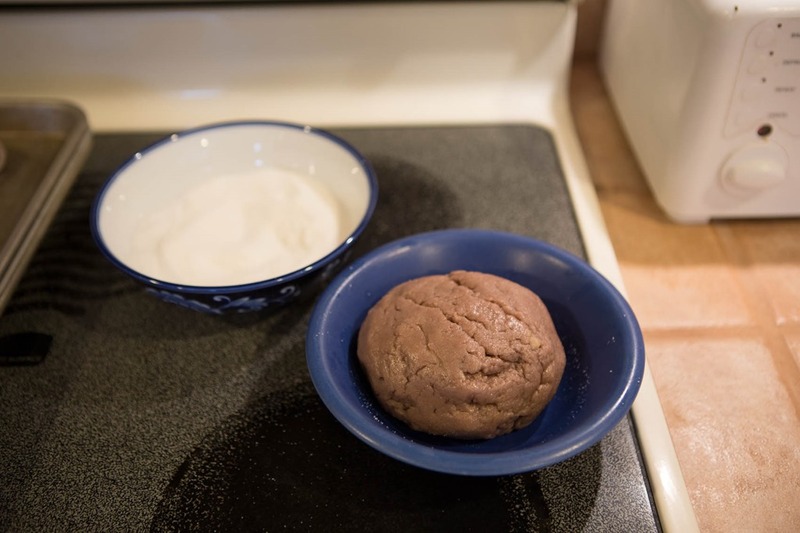 Carefully coat them with the sugar and then position them on the cookie sheet. Once you’ve finished the dough, bake the Ciambelline for 20/25 minutes, they must look only slightly golden-brown along the edges. Enjoy them freshly baked from the oven, or preserve them in a cookie jar. Till the next year. Hi Monica- Gary Henry’s wife Karen here. I’ve made these cookies a few times this year and love the fact that the fat is olive oil and that the anise flavor is so delicate and fresh. You mention Tozzetti. 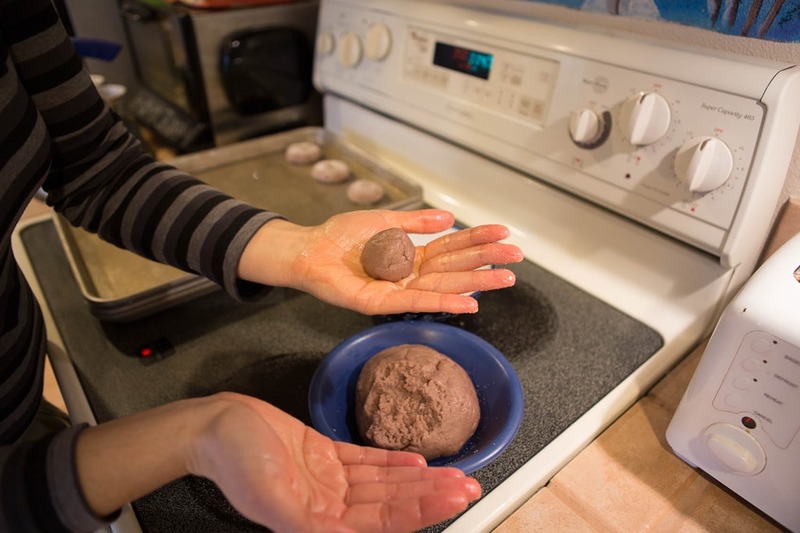 Do you have a recipe for that you could share? Thanks so much!